This gallery is named for Thompson Edwin Durham, 1st curator of the museum. The gallery features a rotation of short term exhibits – some form the museum’s collection while others are travelling exhibits from other museums. Stay tuned to find out what our upcoming exhibition will be! Or join us on April 26, 2019 at 6:30pm for a public exhibition opening! ​A Ontario150 funded exhibition featuring 150 years of life and development in Sault Ste. Marie, Ontario. 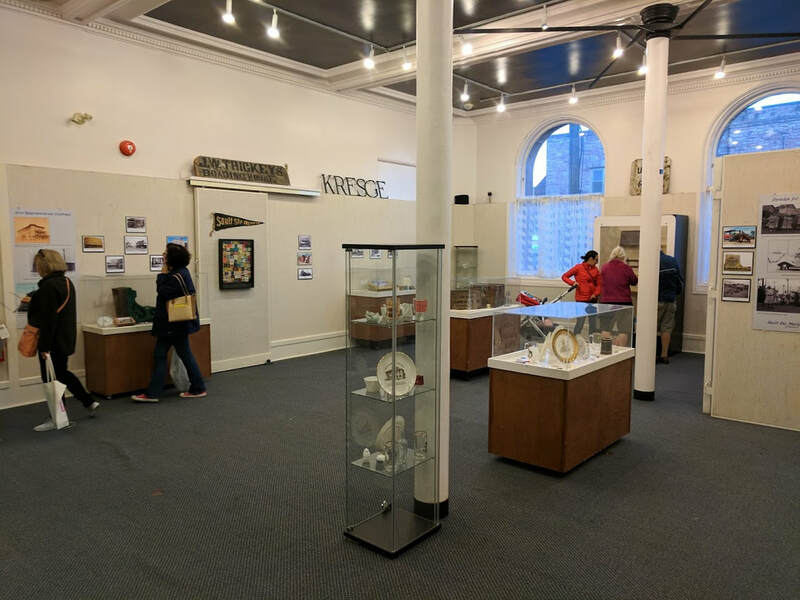 The exhibition features various artefacts, as well as historic photographs depicting the different features, areas, and aspects of life in Sault Ste. Marie. The exhibition was opened for the Heritage Block Party event held as a Ontario150 celebration in SSM. 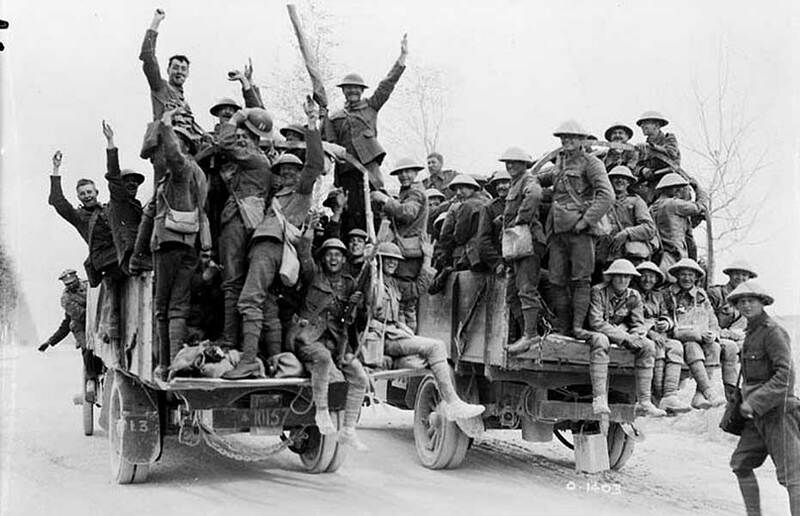 A two part exhibition featuring panels on loan from the Canadian War Museum, as well as an in-house curated exhibition exploring the links of the community of Sault Ste. Marie and the Battle of Vimy Ridge, c. 1917. 2018 marks the Downtown Sault Ste. Marie Rotary Club's 100th anniversary. Explore 100 years of history from the founding of the Club to their main contributions to the community of Sault Ste. Marie. The first two weeks of the exhibition featured an Iron Lung, temporarily on loan to the SSM Museum as it makes its way around North America. This exhibition celebrated the longstanding history of the Legion-Branch 25 (celebrating their 90th anniversary) & the 2310 Army Cadets (celebrating their 70th anniversary). The exhibition was on display in the Durham Gallery from February 9, 2018 to May 2018. In celebration of the Algoma Art Society's 70th Anniversary, the Sault Ste. Marie Museum will host an exhibition featuring the work of 33 Algoma Art Society members (both past and present). The exhibition was on display in the Discovery Gallery. Our permanent galleries house a collection of artifacts donated to the Museum by community members and organizations. The Skylight Gallery tells the story of Sault Ste. Marie from its early beginnings. This story is told through a series of exhibit vignettes using artifacts, photos, maps and text. CURRENTLY UNAVAILABLE - The Discovery Gallery is a children’s area which contains artifacts and features nature species, photographs and a dress-up area. Dedicated for Russell H. Ramsay, local sportscaster, president & general manager of Hyland Radio & TV. He served as an Alderman on city council and served as the MPP for Sault Ste. Marie 1978-1985. The gallery depicts local athleticism from the 1800s forward. The gallery features artifacts and photos showcasing the wide variety of sports that represent our city. A video presentation highlights various sports and the people involved. This exhibit area offers a pictorial display of early Great Lakes cruise ships, a brief history of the Locks, a scale model of the Edmund Fitzgerald and the Chicora. A replica scale model of the lighthouse “Sisters Light” is also showcased in the exhibit.